Crystal work embroidered with glass beads . these envelope clutches are apt for evening and occassional wear . comes in different colors such as rosegold , antique gold , light gold , silver , pearl .classy and elegant bags . In order to meet excellent quality standards, we are supplying Envelope Clutch Bags. From our wide consignment, we are affianced in supplying Leather Envelope Clutch Bag. 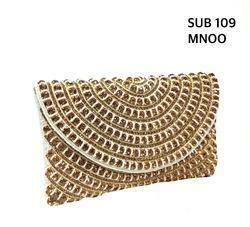 We are engaged in offering Envelope Clutch Bag. This Envelope Clutch Bag has works of beads over the corner. Our reputed entity is engaged in supplying Envelope Clutch Bag. We are involved in offering excellent quality Ladies Envelope Clutch to our most valued clients. 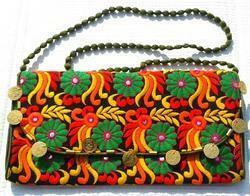 Our offered Ladies Clutches are widely appreciated by our clients. Note :- Buyer Preferred Only from Bangalore. We are highly acknowledged organization, engaged in presenting remarkable range of Envelope Clutch Bag. This envelope clutch with Satya Paul's signature print will add a bold splash of color to your outfit for instant high fashion appeal. We are a top-notch organization, engaged in providing Envelope Clutch Bag.